Whether you've chosen natural or conventional HRT, your body may benefit from certain herbs and nutrients to help keep your system in balance. 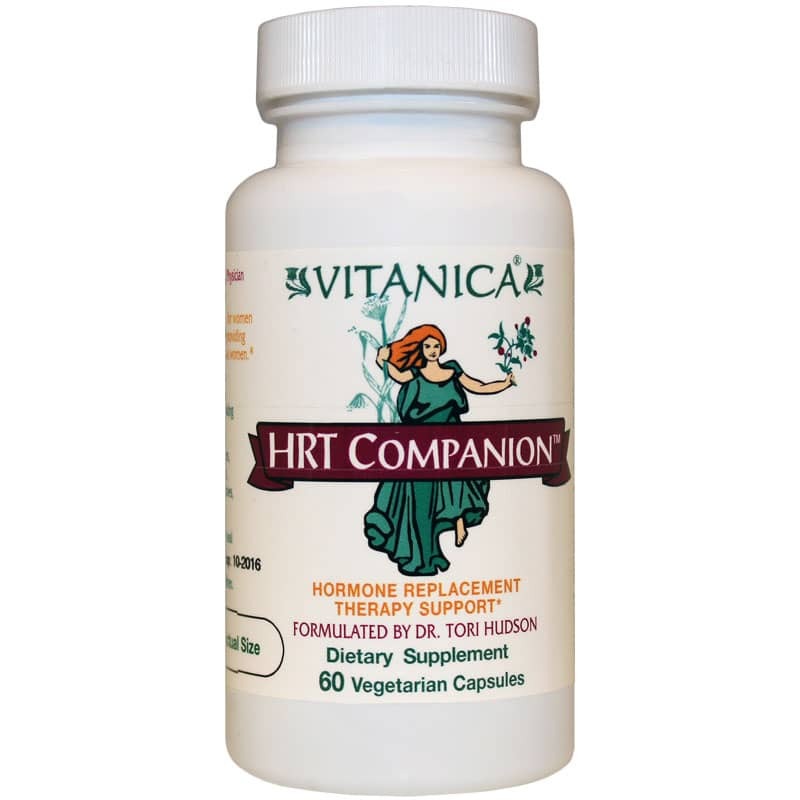 HRT Companion Hormone Replacement Therapy Support from Vitanica includes key nutrients and herbs to help complement conventional or natural HRT. 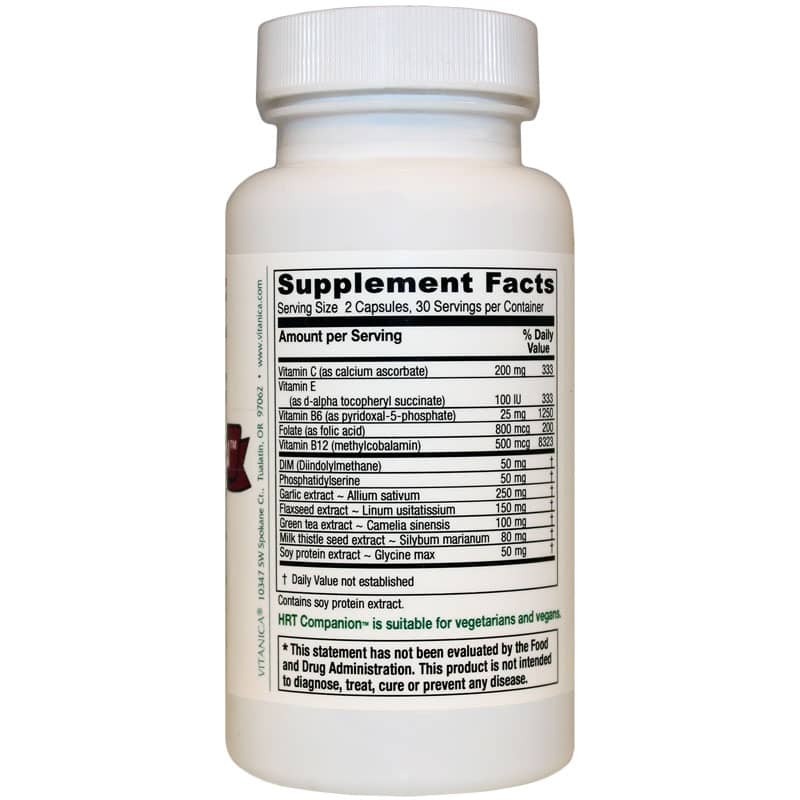 This supplement includes vitamins, antioxidant nutrients, detoxifying herbs and more to aid women's health during hormone replacement therapy. Order yours now for natural support! Other Ingredients: vegetarian capsule (cellulose and water), l-leucine. Contains soy protein extract. Contains NO: preservatives, binders, artificial colorings or flavorings, sugars, starch, lactose, salt, corn, wheat, gluten, milk derivatives, eggs, peanuts, tree nuts, fish or shellfish. 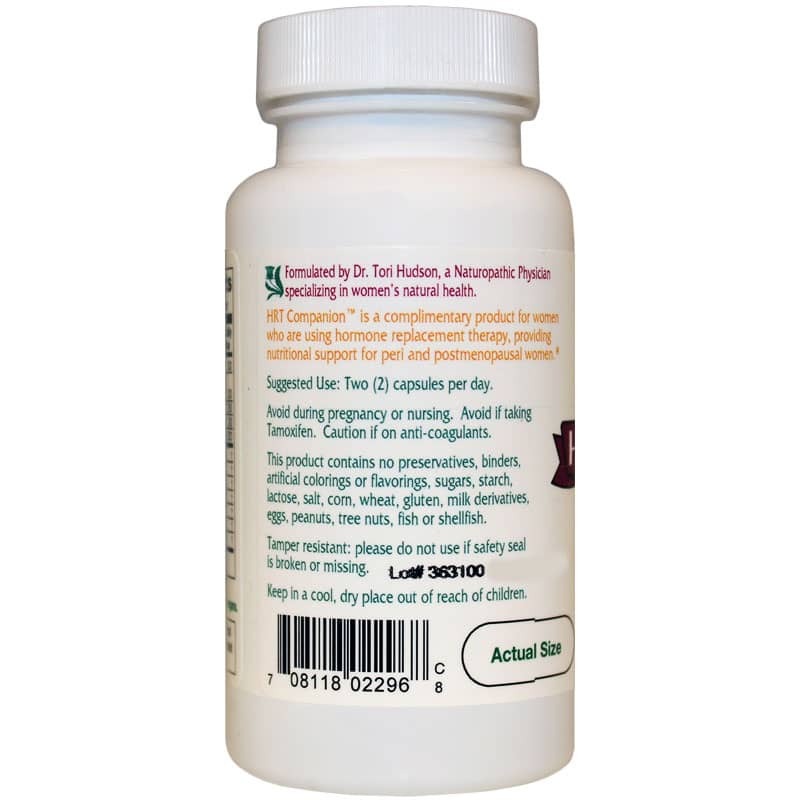 Adults: 2 capsules per day. Do NOT use if you are pregnant or nursing. Keep out of the reach of children. Avoid if taking Tamoxifen. Caution if on anti-coagulants.